Killer Asteroids? - NO problem! Killer Asteroids? - Another HOAX! There have also been numerous TV specials and even mini-series with the same plotline. The solution has been known to scientists for DECADES. But of course Hollywood wouldn't want to spoil the opportunity to make a lot of money with the simple solution. Surprisingly the media has not managed to find the WELL-KNOWN solution either. But of course the media is always trying to alarm the public and whip the public into a frenzy over nothing. History: It starts with the linear induction motor From Wikipedia we quote: "A feasible linear induction motor is described in the US patent 732312 (1905 - inventor Alfred Zehden of Frankfurt-am-Main ), for driving trains or lifts. The German engineer Herman Kemper built a working model in 1935. In the late 1940s, the late professor Eric Laithwaite of Imperial College in London developed the first full-size working model." Mass drivers were built and tested at MIT in the 1970s. My patented spaceship propulsion system (US patent 5,305,974) uses a variation of the coilgun which is called an electromagnetic projectile launcher. This propulsion system is 1000 times better than rockets but NASA is not interested because of the NIH syndrome (Not Invented Here). Literature: Novelists have NOT overlooked the linear induction motor or Mass Driver. The first reference found in literature is described in Wikipedia here. 1897: From Wikipedia we quote: "The first mass driver known in print was actually called the "electric gun" and described in detail as a way to launch vehicles into outer space from the earth's surface. It appeared in the 1897 no longer copyrighted science fiction novel "A Trip to Venus" - by John Monroe and was published in 1897 by Jarrold & Sons, London. The book is out of copyright and freely available as a text file from the project gutenberg.org " 1966: (Robert A. Heinlein) In his novel, The Moon Is a Harsh Mistress mass drivers are used by Lunar rebels to launch artificial meteorites in an orbital bombardment of the Earth. 1976: The High Frontier - Human Colonies in Space (Gerald K. O'Neill) This novel describes in some detail the precise solution required to solve the "killer asteroid" problem. The Solution: As was described by Gerald O'Neill, you simply place a mass driver on the asteroid and have it chew up small amounts of the asteroid and spit them out into space using the mass driver. According to Newton's third law of motion - "For every action, there is an equal and opposite reaction" - as you throw asteroid material into space from its surface, an equal and opposite force will push the asteroid in the opposite direction. Of course in this case we wish to deflect the orbit of the asteroid so that it will miss the Earth. Physics and Math: We now show mathematically how this solution can be accomplished. 1. Select our candidate asteroid. Let the asteroid be 1000 meters in diameter - or 1 kilometer. Volume = 1.33333 * 3.14159 * 500 * 500 * 500 = 523.6 million cubic meters. or Volume = 0.524 billion cubic meters. 2. Select the density of our asteroid. The density of asteroids varies from about 2 to as high as 7. We choose 4 grams per cubic centimeters as a likely density. Mass = 0.524 billion cubic meters * 4 metric tons per cubic meter. 4. Select our ejection mass. Just pick some number - say 200 kg = 1/5 metric ton. For a density of 4, this would amount to 1/20 of a cubic meter - or about 1.75 cubic feet. 5. Select our ejection velocity. Mass drivers are capable of almost any velocity but of course the larger the velocity the bigger and more expensive the launcher will be - and also the more likely that it will malfunction. Actually mass drivers or EMPLs (electromagnetic projectile launchers) are capable of anything from 1 kilometer per second up to 100 kilometers per second or even higher. We pick 1 kilometer per second to make the mass driver as small as possible. velocity = 1 Km/sec = 1000 meters per second. 6. Calculate the momentum of the ejected mass. 7. Calculate the resulting reaction on the asteroid in terms of opposite velocity (per launch). This is the deflection velocity which is perpendicular to the normal motion of the asteroid. 8. Calculate the number of launches per day. Clearly the number of seconds in a day is 86,400. Let us try for one launch every 10 seconds. This would be 8640 launches per day. 9. Calculate the change in velocity achieved each day. Velocity increase per day = 0.000864 m/sec per day. 10. Calculate the change in velocity achieved in one year. 12. What about the second year? Clearly the final velocity will be twice as large. Conclusion: A SINGLE mass driver operating as outlined above could deflect a 1 kilometer asteroid by 5000 kilometers in a single year and 20,000 kilometers in two years. Obviously for insurance we would send a lot more than one - perhaps as many as 50. Also, if the asteroid were 2 kilometers in diameter, the mass would be 8 times as large and the deflection would be only 625 kilometers in one year (for each mass driver). Clearly a rogue asteroid which is less than a year away could still be deflected if we sent a large number of mass drivers to attack it - or if we increased any of the several parameters of the mass driver mentioned above. Implementation: Our choice of implementation would depend heavily upon (1) the size of the asteroid, (2) the amount of time we expect to have before a potential catastrophic collision with the Earth - and of course upon (3) the distance from Earth to the asteroid in question. NASA's currently preferred method of interplanetary travel is the rocket - which I have pointed out above is a POOR (i.e. SLOW) method of travel - but it could work given enough time. As you know from past missions to Mars, it takes NASA about 8 months to reach Mars and years to reach Jupiter or Saturn. Thus, we would LOSE at least 8 months (and perhaps years) of deflection if we were to use NASA's rockets and the asteroid was as close as the orbit of Mars. My propulsion system can reach Mars in 5 weeks and Jupiter in 6 months. Hence by using my propulsion system, we would have many more months (or years) of deflection to apply. In any case, the mass driver itself would obviously be powered by a nuclear reactor. Since there will be no people involved in this mission, NO shielding will be required for the reactor. I would recommend assembling the mass drivers in high Earth orbit and sending them on their way using my propulsion system. 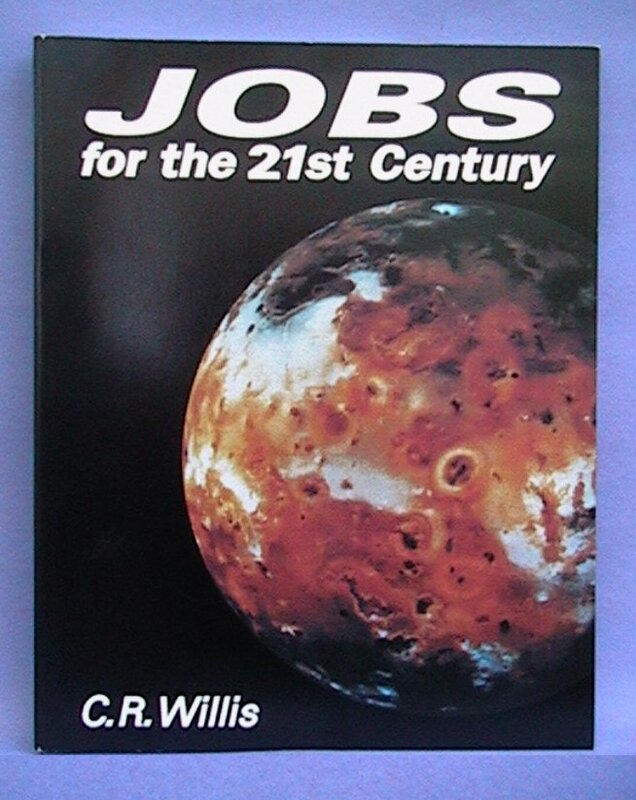 Cost: As you can read in my book Jobs for the 21st Century, I have shown how a manned mission to Mars can be accomplished for under $10 billion. Since this mission would be much simpler, I think we could be confident that it too would cost under $10 billion. $20 including S&H in the US.